Cyn: Save the e-trees! Stop sending me spam! 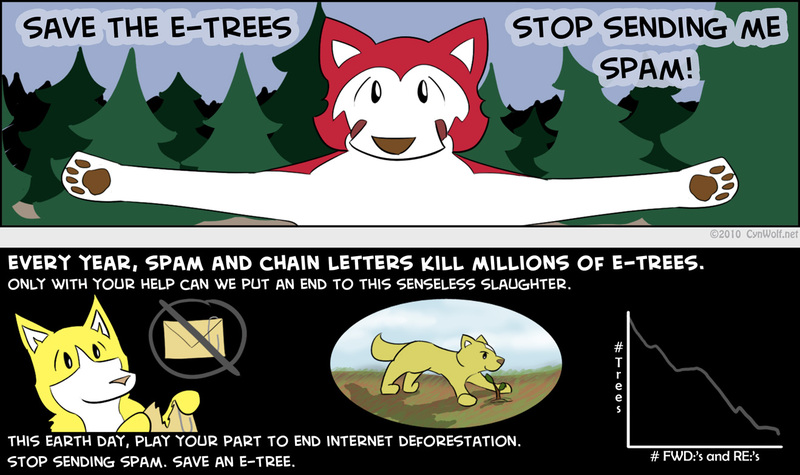 Every year, spam and chain letters kill millions of e-trees. Only with your help can we put an end to this senseless slaughter. This Earth Day, play your part to end internet deforestation. Stop sending spam. Save an e-tree.